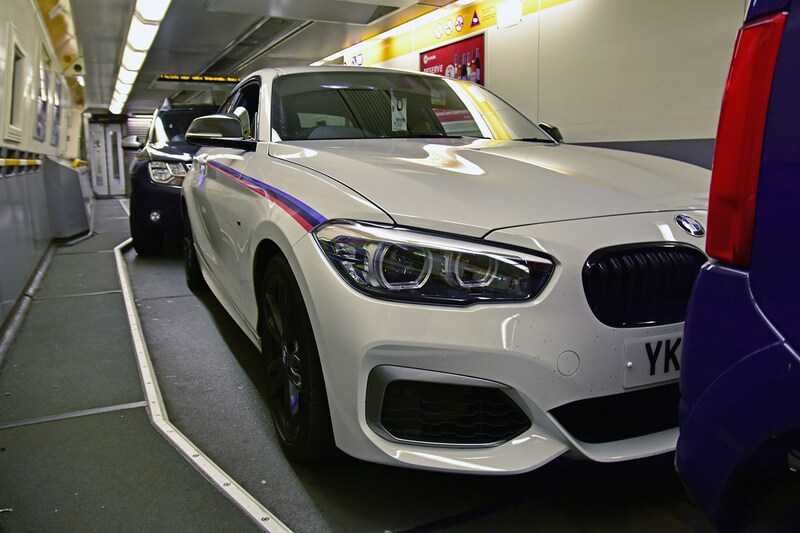 Update 1: What on earth is the BMW M140i Championship Edition? 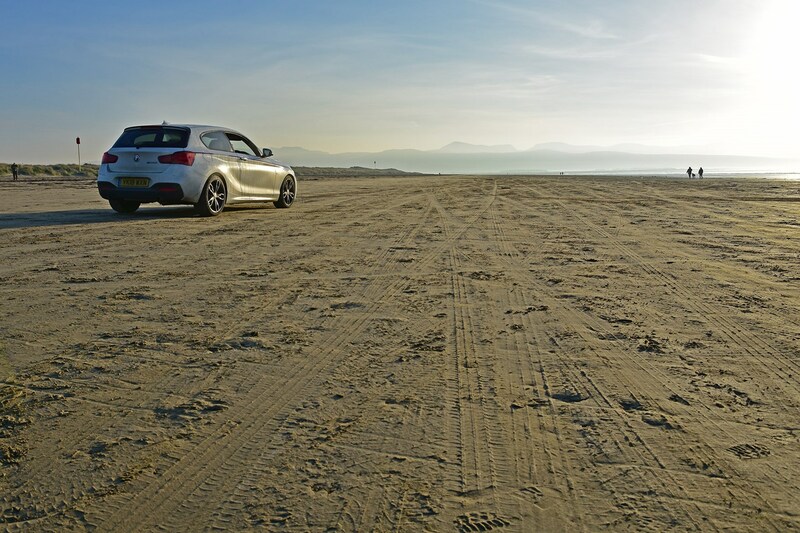 Opt for a BMW 1 Series and you have the choice of everything from an economical 1.5-litre, three-cylinder diesel – capable of 67.3mpg according to official figures – to 340hp 3.0-litre petrol models that can blast to 62mph in just 4.6 seconds – fast enough to match a £78,000 Porsche 911. 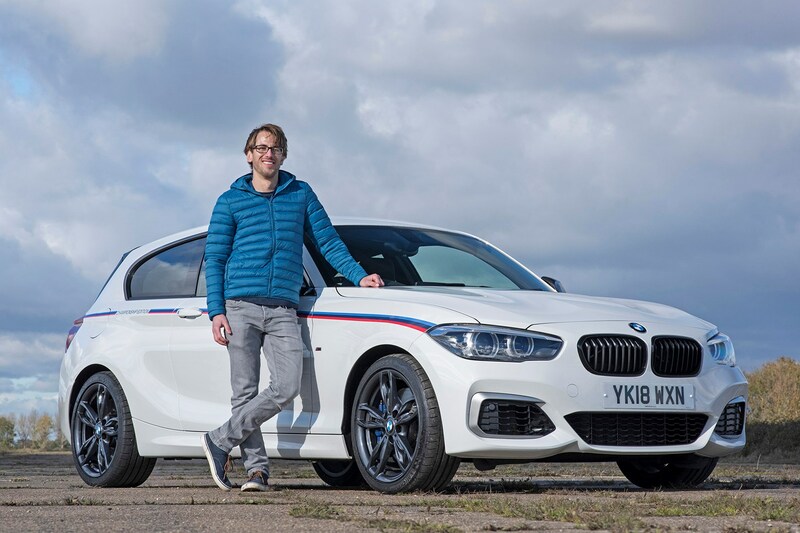 You might think that the £36,575 range-topping 340hp M140i is an extravagance, but it’s actually the best value model in the range, with PCP finance monthly payments costing less per month than the £30,670, 184hp 2.0-litre equivalent. In fact, this sports car-baiting hatchback costs barely more than the £28,500 136hp 1.5-litre alternative. As a result, if you think you can’t afford the M140i, you may want to think again. What’s the secret? 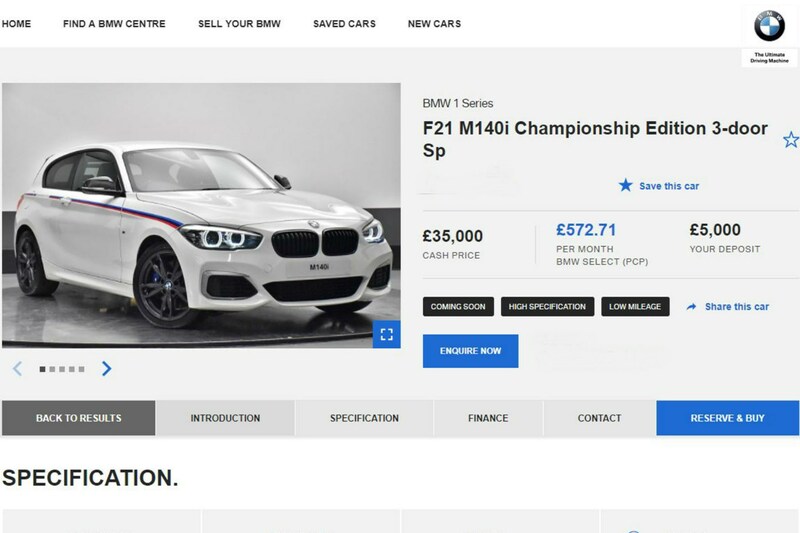 Go for BMW’s PCP finance scheme, and the company throws in a deposit contribution discount of well over £6,000. Consequently, if you’re after a car that provides sports car thrills, hatchback practicality and affordable monthly payments, this is it. The M140i isn’t just better value than other similarly powerful models, it costs less per month than the Mercedes-Benz A 200 AMG Line – which offers less than half the power and lacks the BMW’s automatic gearbox. 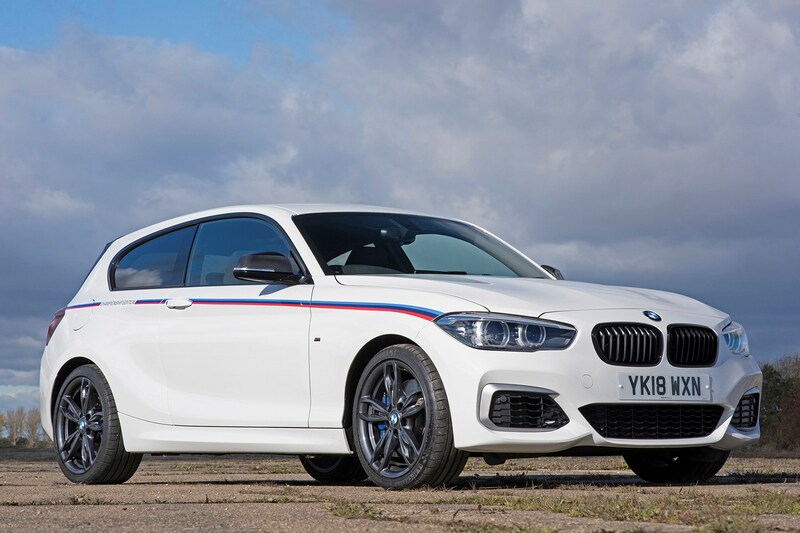 It also costs half as much as the most similar in-house rival, the BMW M2 Competition Pack, at £320 per month compared with £636 (assuming a four-year PCP finance contract with a £5,000 deposit and 10,000-mile-per-year allowance). In fact, there’s only one serious rival for the M140i that won’t set you back far more – the Audi S3 Sportback, though even this five-door-only model costs £12 per month more than the BMW equivalent. We’ll be putting the S3 head-to-head against the M140i in the coming months to see which is the better hot hatchback. 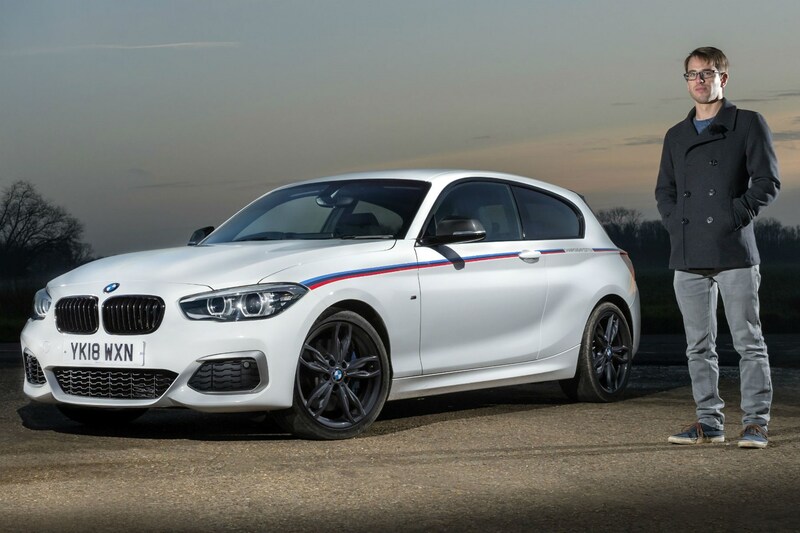 What is the BMW M140i Championship Edition? Rather than testing the standard M140i, we’ve secured the keys to the range-topping M140i Championship Edition. This is a one-of-30 limited-edition model built to celebrate BMW taking the manufacturer’s win at the 2017 British Touring Car Championship. Since then BMW has secured not only the manufacturer’s win in 2018 but the driver and team title too, so our car has good performance credentials – even if the touring cars are 2.0-litre 125i M Sport models, rather than our 3.0-litre model. Despite this, the touring cars pack more than 360hp compared with 340hp for our car. 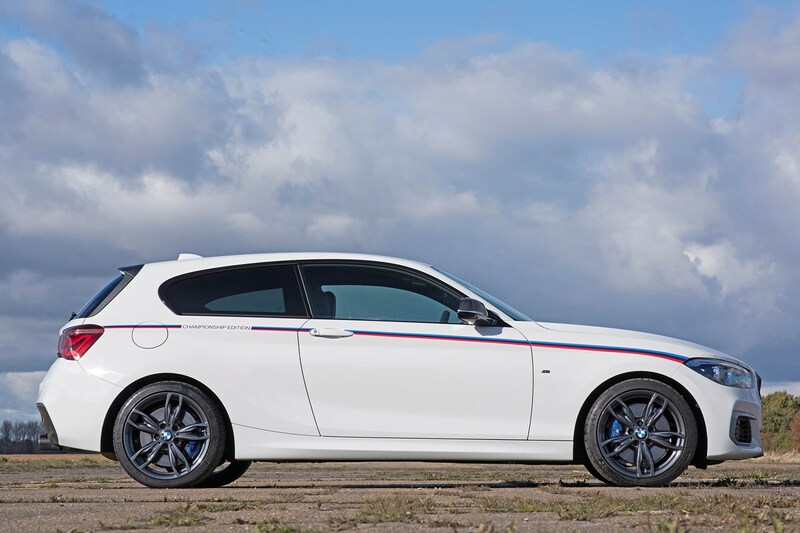 The Championship Edition is based upon the M140i Shadow Edition in three-door, automatic form. This means you get plenty of standard kit and a potent engine in a compact, relatively lightweight body, helping it to rocket to 62mph in a rapid 4.6 seconds. Meanwhile, the top speed is limited to 155mph – as with many fast German cars – and claimed fuel economy comes in at 38.2mpg. Setting out the Championship Edition as a model for keen drivers are the fabric seats, which hold you better than the leather seats standard in other M140is, grippy Alcantara steering wheel, sporty exhaust and limited-slip differential, which helps to boost traction when cornering. Only 30 Championship Edition models are being built with the cash price standing at £40,400. With so few models available, a standard PCP finance quote is not available for this specific car. However, we’ve found staggering £9,000 discounts online. That cuts the cost to a much more palatable £31,398 – a very appealing price for such a powerful, well-equipped model. Unusually for a small car, the 1 Series sends power to the rear wheels, to allow precise steering even under full acceleration and strong roadholding, compared with powerful front-wheel drive cars where the steering wheel can tug in your hands when accelerating and the front can struggle to put its power down when cornering. Equally unusually, the M140i features a large 3.0-litre, six-cylinder engine. Both rear-wheel drive and six-cylinder engines with a distinctive sound are BMW hallmarks – and unique in the hot hatchback market – yet the M140i’s replacement, expected in 2020, is due to feature all-wheel drive and a four-cylinder engine, like the Audi S3, VW Golf R, Ford Focus RS and Mercedes-AMG A 35. 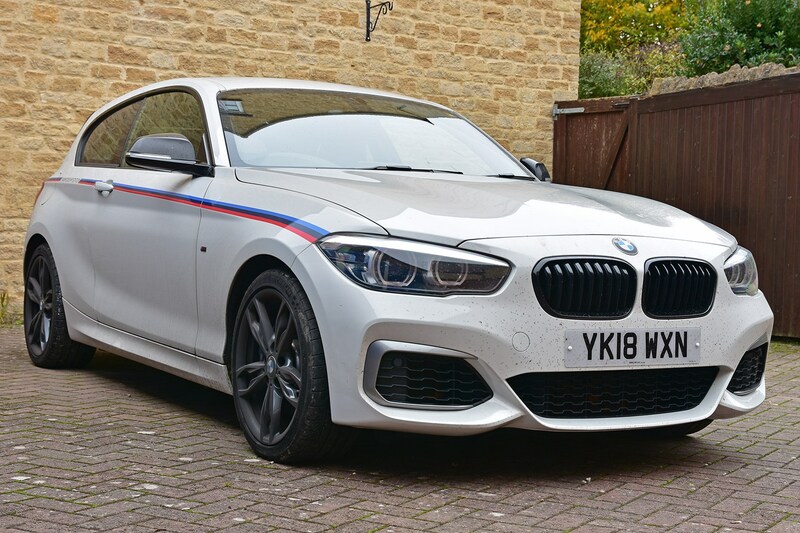 This means that the M140i could be the last affordable hatchback with traditional sports car credentials – so we’ll be establishing over the next six months whether it’s worth taking advantage of fantastic value PCP finance deals and getting a rear-wheel drive, six-cylinder version of the 1 Series now, before it’s too late. 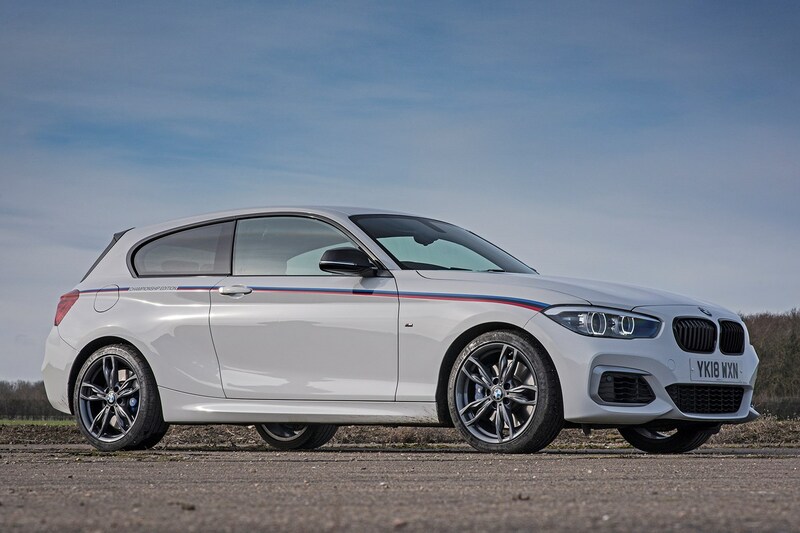 Helping to make the M140i Championship Edition feel even more driver focused, it has a limited-slip differential, to boost the grip of the rear tyres when accelerating and cornering and a sports exhaust to add extra drama. 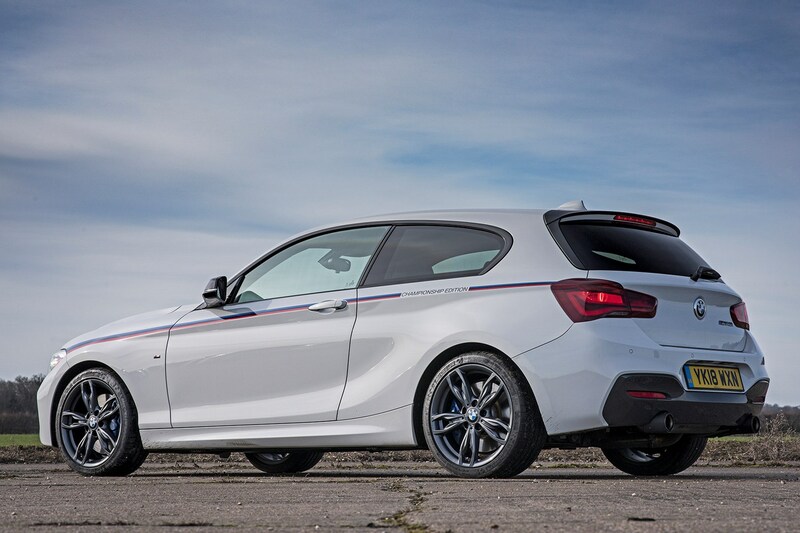 The M140i is not the only small, potent hatchback to come from BMW. There was a 3.0-litre version of the first generation 1 Series, the 130i, on sale from 2005 to 2009 and now available from as little as £2,000. Plus the older 325ti Compact, which went on sale from 2001. As the owner of a 2005 130i (plus a 2003 325ti before that), I’ll be putting it up against its new equivalent, to see how the two compare and establish which offers the most bang for your buck. While the new car offers far more muscle under the bonnet and an infinitely slicker media system, the old car beats the new model in many areas too. Tune in soon for all the details. We haven’t had the keys for long, but the M140i Championship Edition already strikes us as a serious bit of kit. Not all M140i drivers will be the keenest drivers, but it’s hard not to be seduced by the deep pulse of the engine when you fire it up – especially with our car’s sports exhaust. The M140i makes a rich, baritone sound when you work it hard, too, adding an element of luxury absent in other small, fast cars. Furthermore, this large engine provides deep reserves of power, whether you’re looking to effortlessly overtake a lorry or blast down a sliproad to get up to speed. With a smooth, fast-shifting automatic gearbox, front sports seats with plenty of adjustment and suspension that proves surprisingly comfortable while still keeping the car planted around bends, the M140i seems equally suited to cruising along the motorway or whizzing along a country road. The media system is also crisp to look at and use. So, our first impressions are resoundingly positive. However, we’re planning to drive the M140i to BMW’s home in Munich and across the Alps to test its long-distance ability. And we intend to have winter tyres fitted to establish whether a powerful rear-wheel drive BMW really can deal with the worst weather a British winter can throw at it. 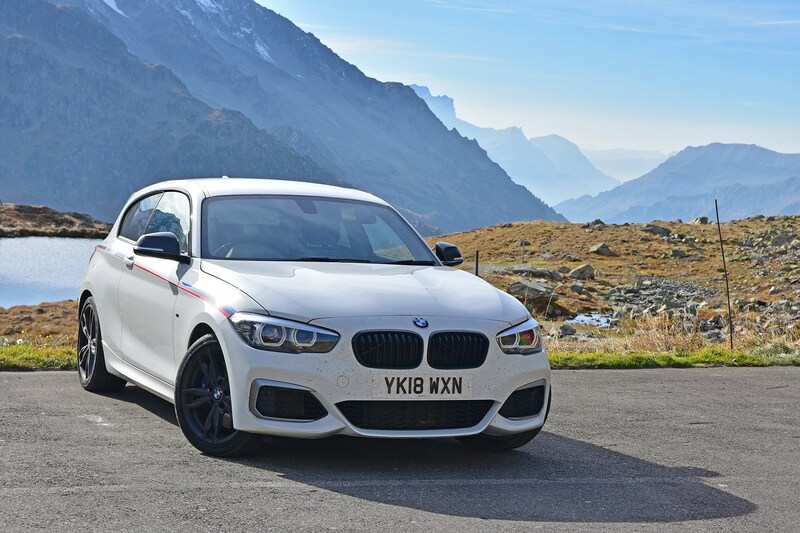 What comes as standard with the M140i and what does the Championship Edition gain? 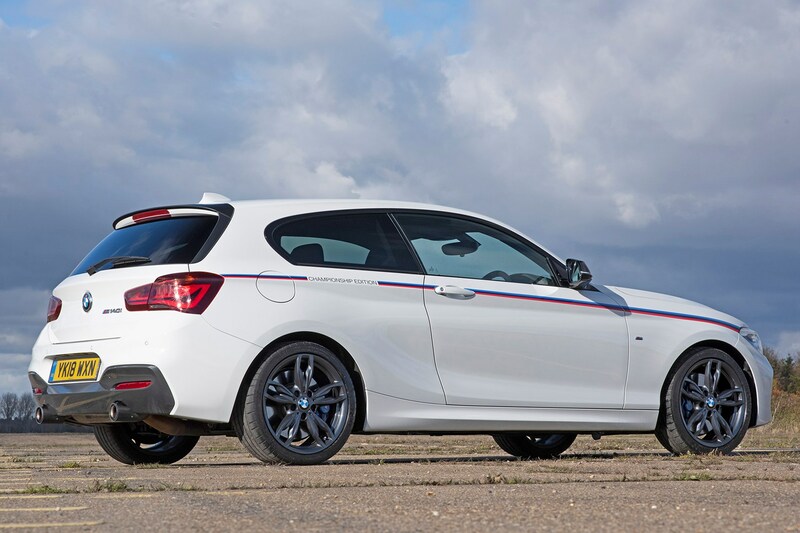 This is the most expensive BMW 1 Series you can buy in cash terms at £40,400. It’s also the fastest, most driver-focused and the one that’s likely to be the most desirable in years to come – as only 30 Championship Edition models have been built. However, enormous discounts are available on the M140i and BMW’s PCP finance offer is staggeringly good, making this 340hp rear-wheel drive hot hatch cheaper than some 230hp rival models that aren’t even in the same ballpark in performance terms. As a result, despite being the priciest 1 Series on paper, the M140i is one of the best value in reality – whether you have a hefty wedge of cash to splash or go for BMW’s PCP deal. But what do you get for your money? 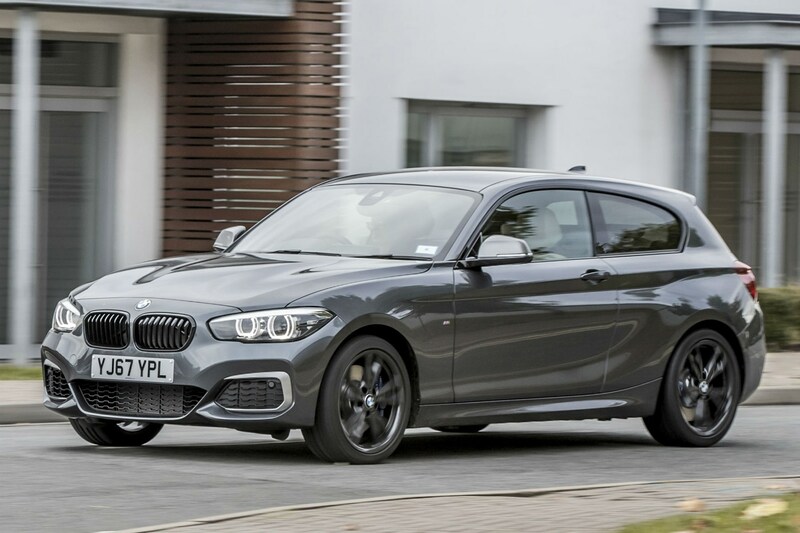 The £40,400 Championship Edition is based upon the £36,575 M140i Shadow Edition 3dr, which includes a number of desirable bits of kit over the standard £35,240 M140i 3dr. 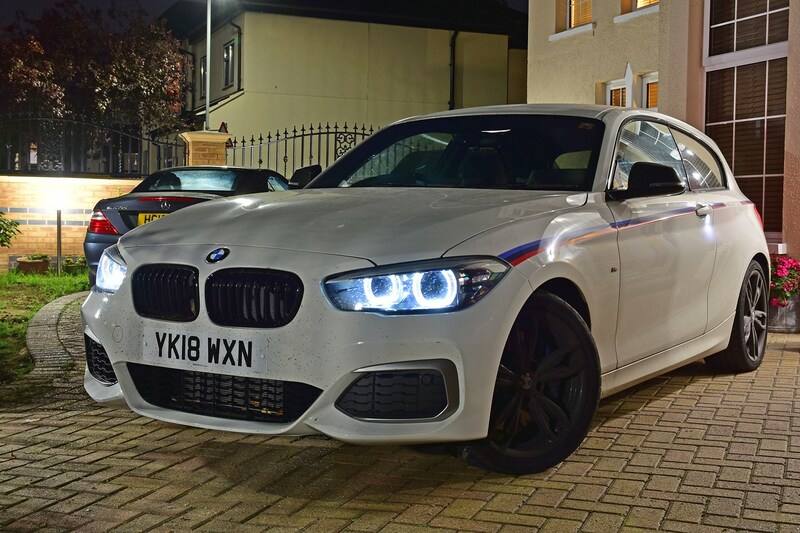 Unlike the Audi S3 Sportback or VW Golf GTI the M140i has a conventional automatic gearbox rather than a high-tech dual-clutch unit. The benefit is that this gearbox is very smooth and unflustered, though an equivalent dual-clutch may be faster to engage the next gear. In reality, the M140i’s gearbox is very good – gear changes are smooth, as is pulling off from a standstill, though this BMW is impressively quick to change down a gear or two when you’re driving harder. Select the Sport driving mode and it’s more responsive still. Thanks to a long-travel throttle, it’s easy to get the car to change down to the gear you want, just with the pressure you put on the pedal. 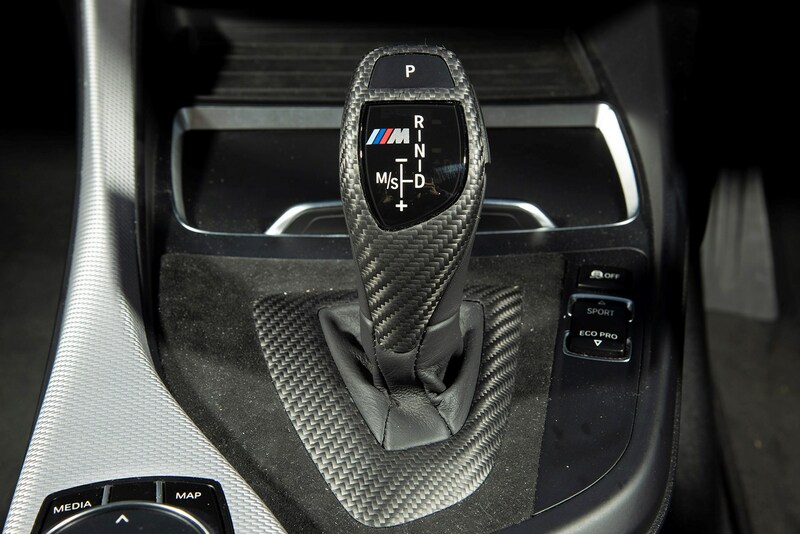 As a result, there’s rarely any need to use the paddles on the steering wheel and few times when even a keen driver will miss having a manual gearbox. That’s good news, as you can no longer choose a manual gearbox for the M140i, though manuals were available until the start of 2018. There’s nothing else particularly surprising in the M140i’s standard equipment list. Leather sports seats are standard – though these are replaced in our car – as are sat-nav, Bluetooth and automatic headlights and windscreen wipers. Powerful LED headlights are also included, making night driving much easier on the eyes. Our Championship Edition model is based upon Shadow Edition trim, which features the same kit as the standard M140i plus a range of desirable extras. It also looks distinctive, with dark-tinted rear windows, headlights, rear lights and alloy wheels. Cruise control and rear parking sensors – both essential for many drivers in 2018 – are thrown in, along with an upgraded Harman Kardon sound system. Our range-topping Championship Edition model stands out from Shadow Edition models with a raft of luxurious extras, mechanical changes and unique design details. 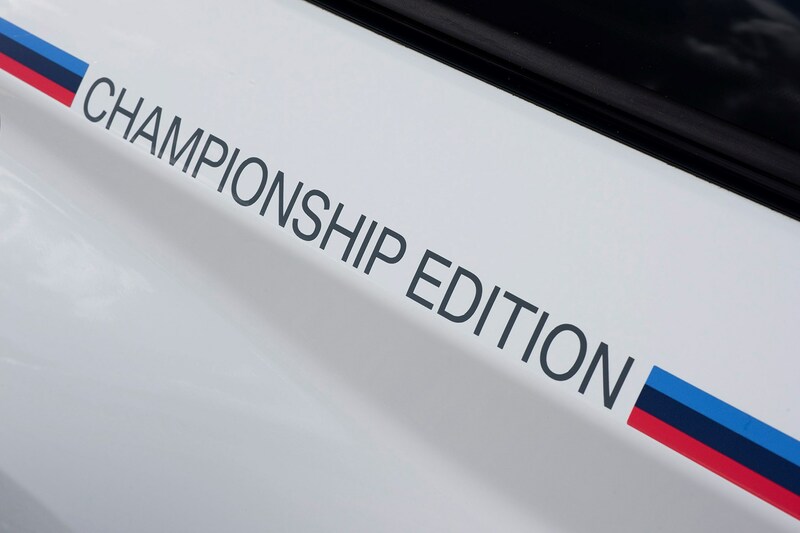 White, non-metallic paint, is the only finish available, with Championship Edition decals, rear spoiler and interior plaque setting it apart from other versions of the 1 Series. The interior also features cloth and suede-effect seats rather than the leather in all other M140is, plus a suede-covered steering wheel and aluminium trim. 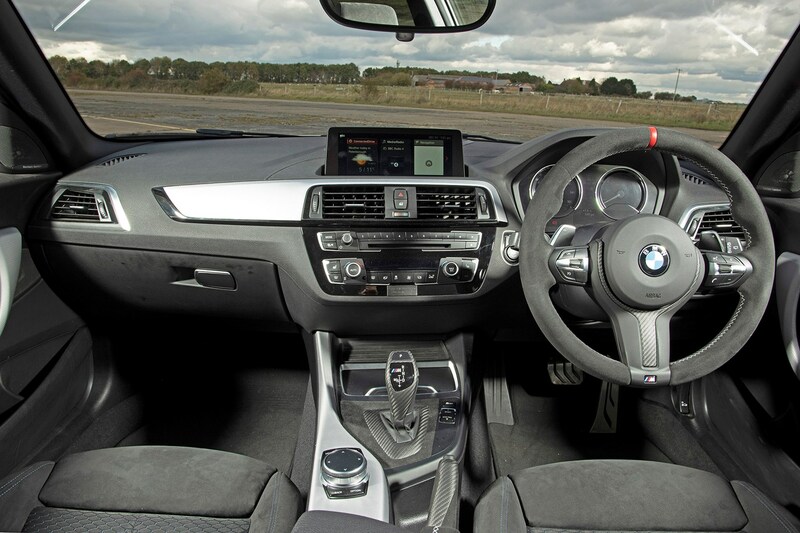 Luxuries come in the shape of heated front seats, electric-folding door mirrors, Bluetooth with wireless charging and BMW’s Professional media system, which includes a larger display and the ability to control it through a touchscreen as well as the standard rotary controller or voice controls. 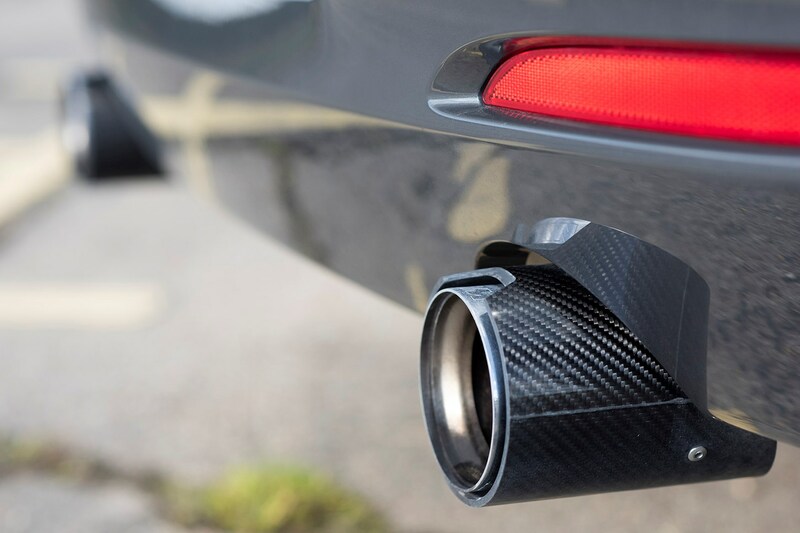 The final additions to our Championship Edition car affect the way it drives; an M Performance sports exhaust, which pumps out a baritone roar when you fire the car up and a limited-slip differential to maximise traction when cornering. 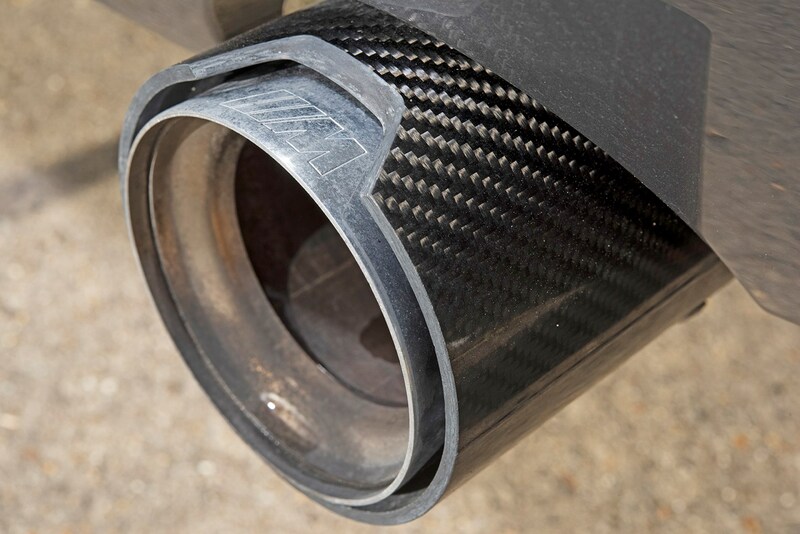 While the exhaust is very noticeable when you press the starter button – with a deep note coming from the twin tailpipes for the first minute or two as the car warms up – it’s less noticeable on the move. Yes, the M140i produces a satisfying six-cylinder exhaust note, but we can’t say we really notice any difference from the inside when on the move. The limited-slip differential, meanwhile, helps the M140i to contain its hefty horsepower tally when driving hard. It works by sending power from the inside wheel to the outside wheel, helping to make the most of the grip available. 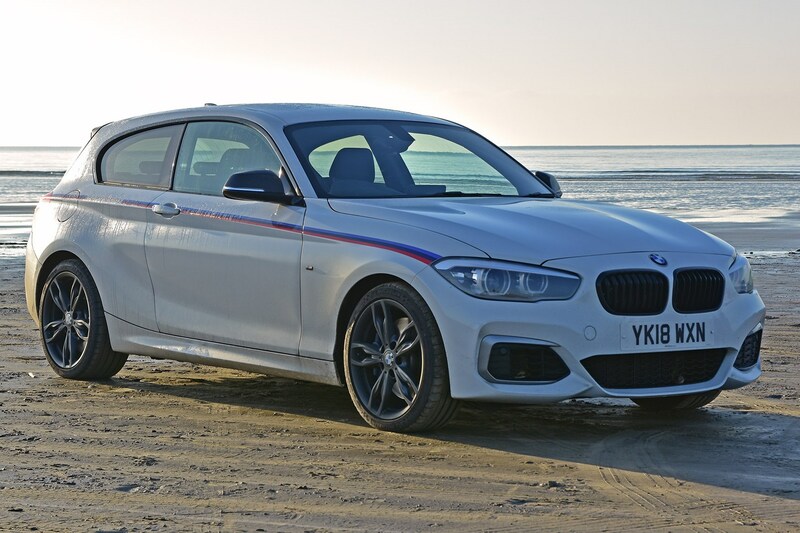 We haven’t driven our M140i Championship Edition back-to-back with a standard car to compare yet. However, we have been impressed with the amount of grip from the rear tyres. This is especially true considering the amount of muscle on tap and the fact it has dry-weather-optimised Michelin Super Sport tyres fitted, which we’d expect to offer reduced grip in wet conditions. Two of the most significant changes come in the form of the suede-like seats and steering wheel. These make the M140i feel like a more focused driver’s car, with very good support and comfort from the highly adjustable seat and a tactile feel from the wheel. Yes, there’s a premium to pay for the Championship Edition over the standard car – and the white paint and stripes are an acquired taste – but so far this limited-edition M140i seems to hit the bullseye for driver appeal. Update 3: Munich or bust! Our BMW has a hefty 3.0-litre six-cylinder petrol engine under the bonnet – the kind of motor you’d expect in a serious sports car – all in a hatchback package. So, it’s definitely fast enough, but is it engaging and comfortable enough to manage a 2,000-mile cross-continent trip in just 10 days? There are two ways to make a car fast; first add loads of power and secondly strip out as much weight as you can. Our M140i is well catered for on both counts. While practically every other hot hatchback has a 2.0-litre engine, this BMW has 50% more engine, plus six cylinders rather than four. This in turn means the M140i produces an enormous 340hp, compared with the 320hp of the Honda Civic Type R, 310hp of the Audi S3, 306hp of the Mercedes-AMG A 35 and the mere 300hp of the Volkswagen Golf R.
More tellingly, the BMW pumps out an enormous 500Nm of low-engine-speed muscle. That compares with a maximum of 400Nm of torque from higher engine speeds with all of those rivals. What this tells you is that the BMW is capable of accelerating faster from lower revs than those main rivals. As for that second element – weight – the M140i is small. It’s notably smaller than Ford Focus and this in turn means it’s far lighter than any of the other BMWs that share this engine – that includes the brand new Z4 two-seater roadster – resulting in greater performance and improved agility. 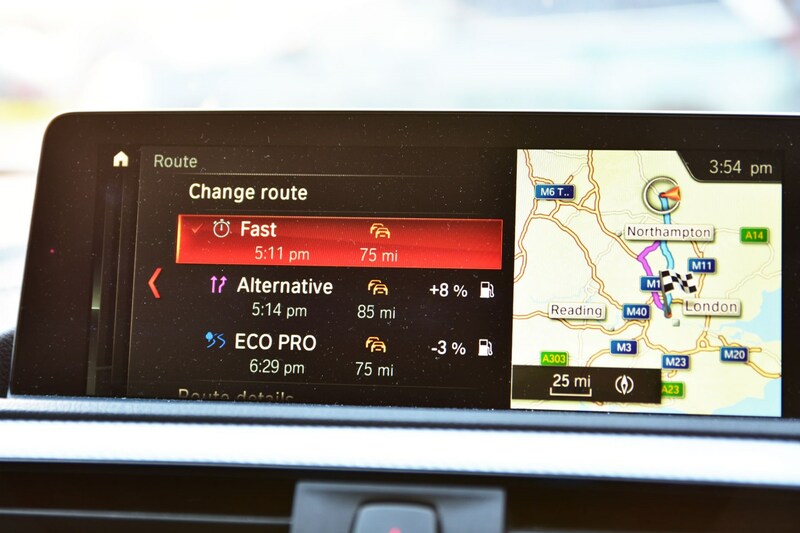 The net result is that the M140i launches from a standstill to 62mph in just 4.6 seconds – and it feels every bit as fast as the figures suggest. In fact, that 0-62mph time really doesn’t do this BMW justice, as it feels like it could be faster still if it didn’t solely power the rear wheels and you could be a little more brutal with the throttle. Grip from the rear tyres when pulling away is strong – unless it’s particularly cold or wet – but even so, the M140i gets into its stride at autobahn speeds – which is lucky considering we carefully plotted out a route across Germany along much of the country’s derestricted autobahns. To truly put the M140i to the test, we mapped a route from London into France and across Belgium, the Netherlands and Germany, clipping the corner of Austria before heading into Switzerland. On the return trip we dropped into Italy, before going back into Switzerland and heading home through France. Our trip included motorways in France, Belgium and Germany, country roads in Bavaria and Switzerland, with a smattering of mountain passes in Switzerland and Italy, topped off with a hefty dose of Swiss motorway and French A-roads. Over 10 days we covered 1,976 miles, hit 150mph on the autobahn and returned incredibly strong calculated fuel economy of 44.0mpg on one 360-mile leg. We were only stopped by the police once. The moral of the story; don’t do u-turns in French traffic jams. And if you do, make sure your French is good enough to apologise profusely. We crossed northern France, Belgium and the Netherlands at a very leisurely pace, with the BMW happy bumbling along at 60-70mph. This paid dividends in the fuel economy stakes. While the first road trip tank weighed in at a mediocre 32.8mpg – not helped by having to negotiate London, albeit while most commuters were still asleep – the second resulted in an incredible 42.7mpg, far better than the official figure of 38.2mpg. We even hit a high of 46.7mpg over 300 miles towards the end of the trip before hitting busier roads. Heading into Germany, however, the temptation of speed limit-free autobahns saw our average speed double, with a cruising speed of up to 120mph depending on the level of traffic. This is a car designed in Germany and that’s clear on German roads; despite being the company’s smallest mainstream car, it’s unfazed by super-high speeds. We nudged 150mph at one point and while, yes, wind noise is quite pronounced at such speeds and the steering not as precise as it could be, 130mph is perfectly relaxed once you’ve acclimatised to autobahn driving. Even at well over 100mph the M140i feels planted, comfortable and reasonably quiet, with just a muted roar from the engine when you call for more speed. 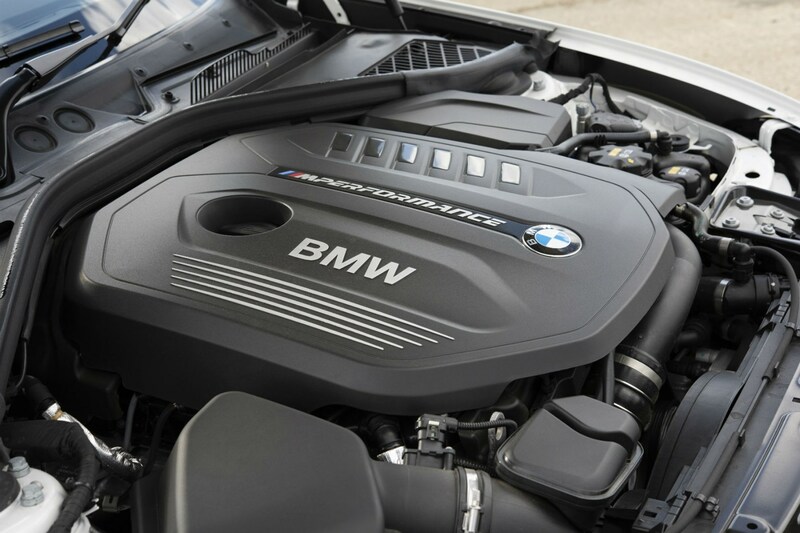 Talking about that engine, thanks to its six-cylinder ‘in-line’ format, the motor creates a classic BMW howl when worked hard compared with the bland noise of most rivals. If you want your hot hatch to make a smooth but dramatic roar that isn’t just engineered pops and bangs from the exhaust, the M140i is the car for you. Sadly in both Normal and Eco Pro driving modes the steering is a little on the light side, but more importantly slightly imprecise, so it feels like there’s a little slack between you turning the steering wheel and the tyres actually responding – not ideal at three-digit speeds. Thankfully, this sensation is reduced in Sport mode, when the extra weight to the steering makes the car feel more confidence inspiring at autobahn speeds. That’s good considering the ridiculous ease with which this car will rocket through the 100mph mark and up to 150mph. 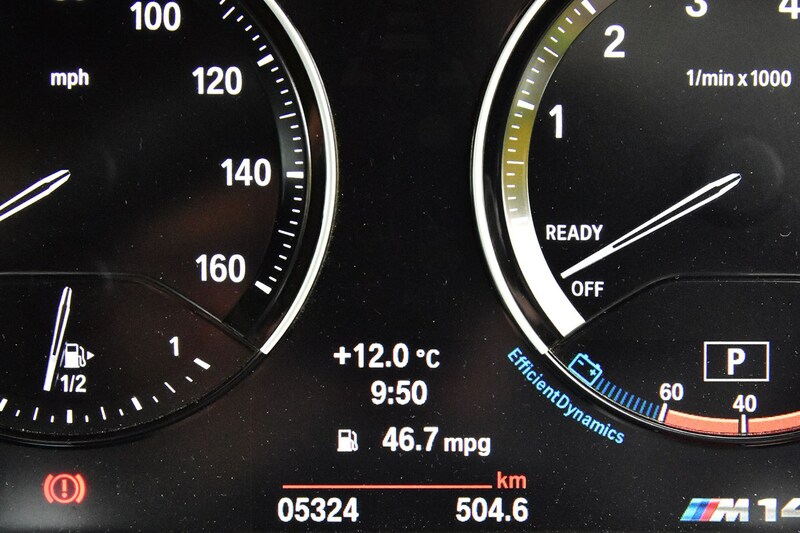 Impressively, despite powering along the autobahn at high speed to our first overnight stop near Kassel in Germany – nearly 500 miles away from our starting point – fuel economy for that tank stood at a still reasonable 28.8mpg. A hot hatchback should be just as satisfying when making full use of its acceleration and grip as well as filling up the boot with a supermarket shop or lapping the M25, and the M140i aces this. That charismatic engine means you don’t have to drive fast to feel like you’re in something special – all the more so with our car’s optional M Performance exhaust. It’s not too obvious from inside the car, where the note from engine dominates, but the tune from the exhaust is dramatic enough to turn the heads of pedestrians – evidently expecting an Aston Martin rather than a be-striped BMW hatchback. The engine’s effortless grunt, meanwhile, and steering that becomes more positive in Sport mode work very well on smooth, sweeping A roads. On dry roads the grip from both ends of the car is impressive and overtaking effortless and satisfying – we were happy to be stuck behind the occasional tractor in mid-Germany simply to be able feel the full thrust of the 3.0-litre motor. 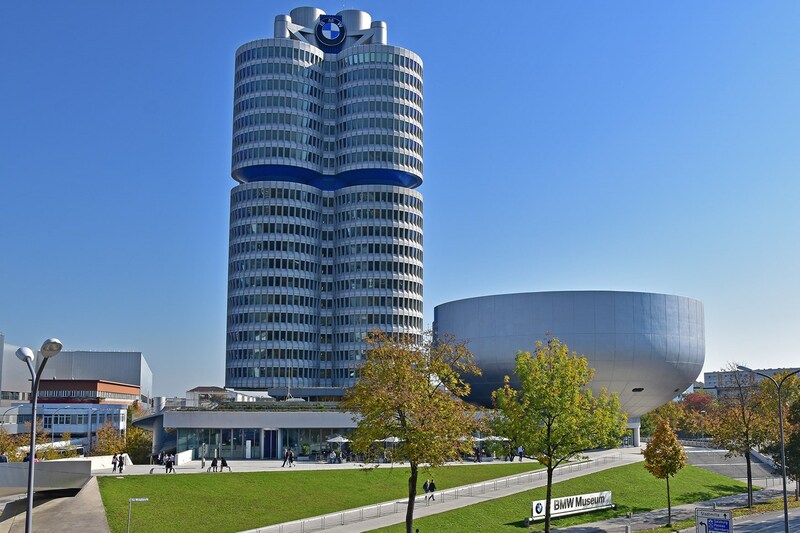 Heading further south, we made a visit to BMW’s homeland – Bavaria – and BMW Welt and museum in Munich. Our M140i may share little with the next generation of BMWs showcased in BMW Welt – as new models move towards downsized engines and all-wheel drive – but it shares many hallmarks with older models in the museum. The six-cylinder engine, rear-wheel drive and long-bonnet, stubby tail format hark back to previous generations. This format has proven satisfying on the 800-odd miles to Munich, but will it work on the tighter, more challenging roads of the Swiss Alps? The M140i is no Caterham, and feels heavier and less nimble than hot hatches like the Renault Megane RS and even the Hyundai i30 N Performance, but consider how comfortable and grown up it was on the motorways and A-roads of northern Europe and it still has a pretty broad spread of abilities. 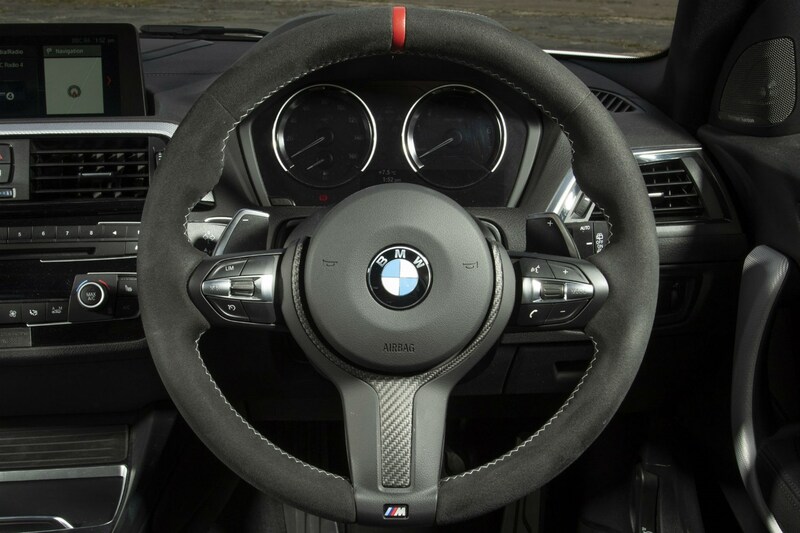 Adding to the tactile feel of the car, the soft Alcantara-wrapped steering wheel is a small but satisfying improvement over the standard car’s leather wheel. And this sums up the whole feel of the M140i; it’s not the sharpest, most agile hot hatch, but it is one of the most satisfying, with power, noise, steering and its balanced feel cumulatively making it one of the best all-rounders. 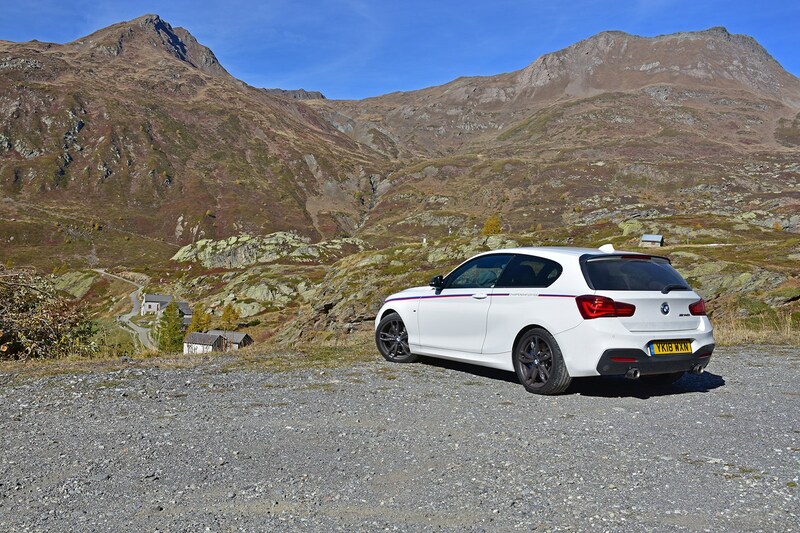 Such was the M140i’s talent of shrinking the miles that we decided to detour from Switzerland down into Italy. The ride comfort was part of that, as were seats that move in just about every direction, so that you’re sure to find a comfortable position – with inflatable side bolsters, so that seat really does fit your body. Add that comfort to impressively frugal fuel economy – even across the Alps we managed to average just under 35mpg – and the call of another country was too strong to resist. Tune back in for our next update for the whole picture on comfort levels and what the M140i is like from behind the wheel. Update 4: Can a medium hatchback handle 2,000 miles in 10 days? We’ve already established that the M140i’s motor is just as capable of firing it down high-speed autobahns as it is powering through sweeping country roads, but is it comfortable enough to deal with longer trips? We point the car towards Munich to find out. It may be BMW’s smallest car – if you ignore the plug-in i3 – but our 1 Series impressed us with its ability to devour autobahns and cope with challenging Alpine roads in our last update. Even more impressive, though, are the comfort levels. While an increasing number of hot hatchbacks are set up to provide super-sharp handling around corners, this often comes at the expense of comfort, with firm suspension and lots of road noise from oversized tyres – as in the latest version of the VW Golf R and Renault Megane RS. 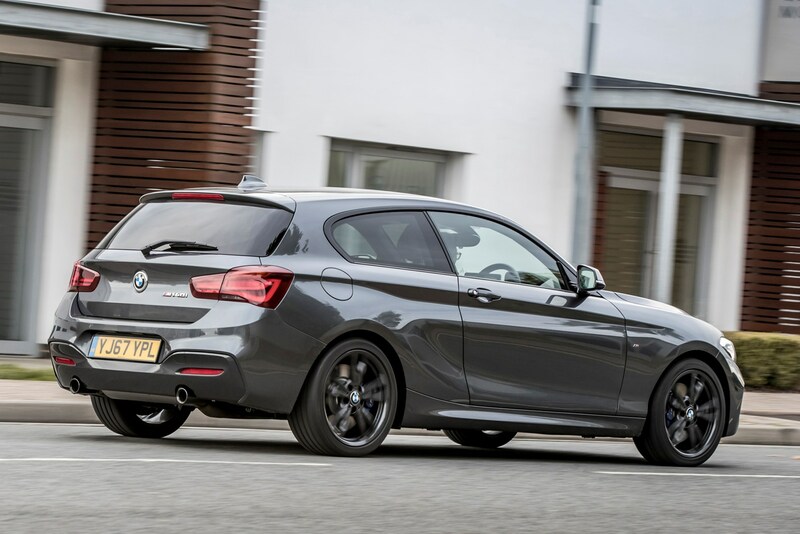 Our M140i, however, puts the focus on being a rapid hatchback that is capable around corners, rather than a racing car stuffed within a hatchback shell. And it’s all the better for it. Yes the ride can be a little firm at times, but on all but the most scarred and neglected of tarmac it remains controlled and comfortable. Similarly, the controls are easy to navigate, with a sophisticated but simple media system controlled via a rotary dial located alongside the handbrake. The fact you don’t have to stab away at the screen – though it does offer touchscreen control – is a real benefit over several rivals, which force you to use a tablet-like interface while driving; very distracting. One of the M140i’s best traits is its seats. With adjustments for the backrest angle, seat base angle and inflatable side bolsters that can clamp you in place as tightly as you wish, it’s worth taking a minute to get the seat exactly right. Unlike many new cars, the seats also drop close to the floor for a sportier feel. Better still, the steering wheel adjusts fully and you can pull it close to your chest, too, for a more engaging drive – something that’s not possible in many cars. 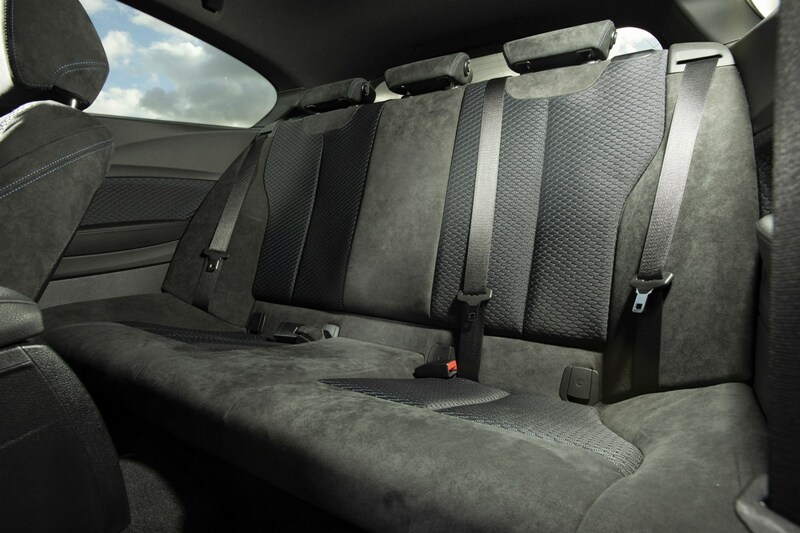 While the cosy seats suit drivers who want to be clamped tightly in place, larger drivers would be wise to make sure they can get comfortable behind the wheel. The M140i is no luxury car, but for a hot hatchback it rides comfortably, especially considering how much power is on tap. On any reasonably smooth road, the M140i feels planted enough to provide confidence around corners and firm but comfortable for the driver. Hit a quick succession of bumps and ripples in the road and the M140i can jump around the road a little, but it’s still far less manic than many hot hatches. On our trip across Europe, however, the M140i felt perfectly set up. 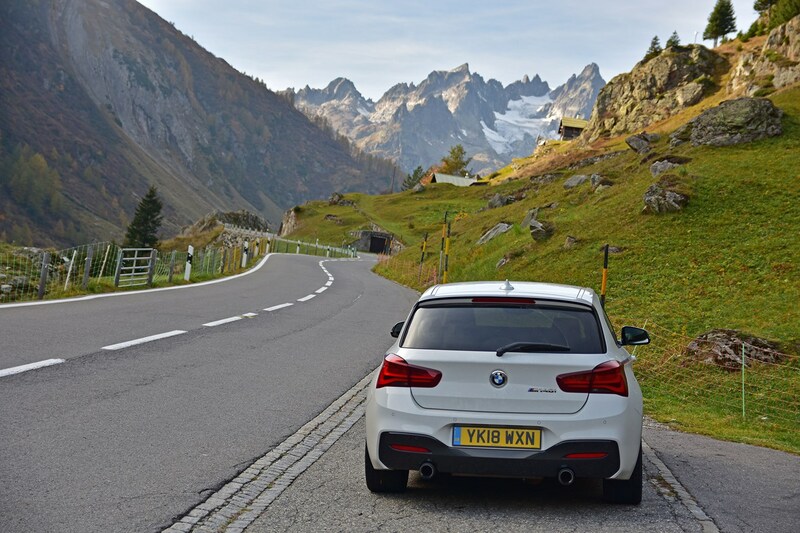 On relatively smooth French autoroutes, German autobahns and A-roads, plus Swiss Alpine passes, the M140i proved particularly comfortable – even on days when we chalked up more than 500 miles. It remained settled over undulations in the road, while only large bumps made themselves felt in the cabin. Rough concrete autobahns did result in a lot of road and tyre noise, but this would have been the case with most cars. 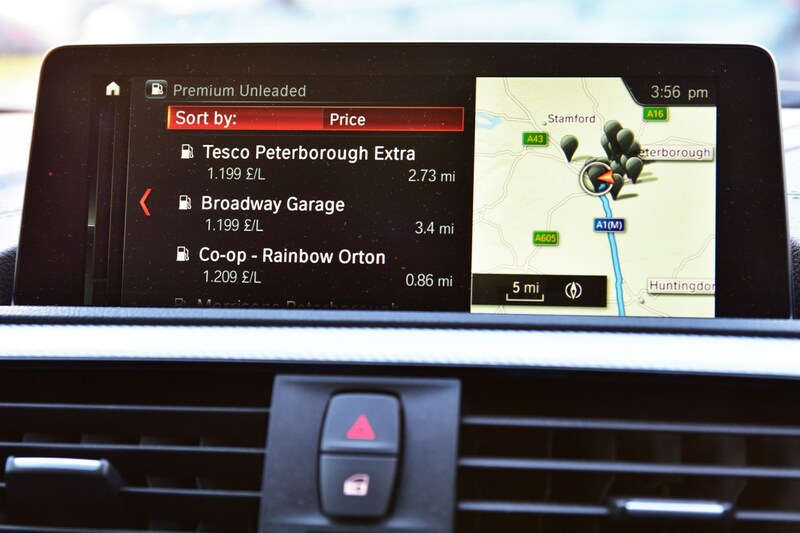 Should I pay more for BMW Professional Navigation? 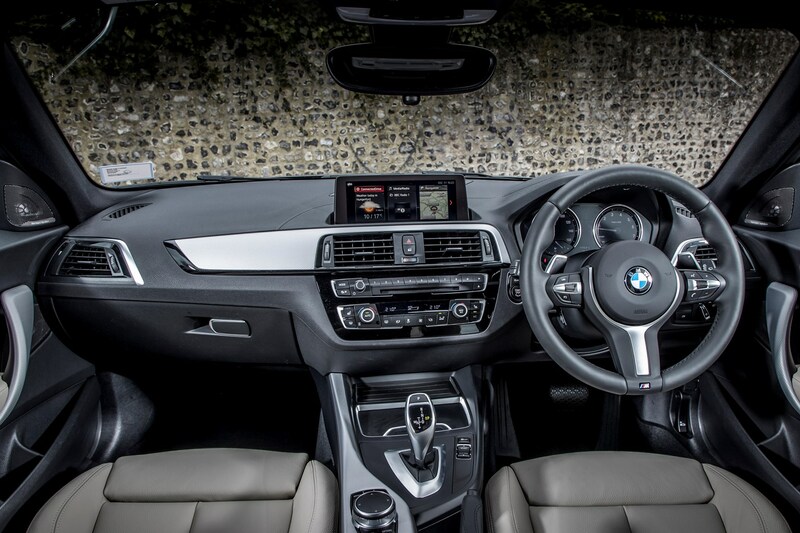 All M140is include sat-nav, but our Championship Edition model comes with the Professional nav fitted as standard (optional on other 1 Series models). This features a larger screen and added functionality over the normal version and it’s well worth having. The bigger screen fills the mount at the top of the dash nicely, with no large plastic bezel around it and measures in at 8.8 inches, compared with 6.5 inches for the standard system. You also get a USB interface, 3D maps, a 20GB hard drive plus a rotary controller, along with touchscreen control. The larger display alone makes a big difference. Reading the map is simple, with bright but crisp graphics that are easy to decode while driving. The screen is bright enough during the day with pleasant colours, but doesn’t dazzle the driver, while the colours reverse at night for glare-free use. An overview of junctions is also shown just below the speedometer, meaning that even if you don’t have the sat-nav display showing on the dash-top media system screen, you still get turn-by-turn directions. These sound like small points, but make the Professional Nav system one of the most effective available, offering easy control on the move and an appealing interface. Turning voice instructions on and off and changing the map view while on the move is far less distracting than on a solely touchscreen-controlled system, too. Simply nudge the rotary controller to the left to enter menus with a click to change settings. This rotary controller is key to the system’s usability. Many systems in new cars are solely touchscreen-controlled, forcing you to jab away at the screen. Hit a bump and your hand moves and half the time you end up pressing something different to what you intended – meaning much toing and froing between menus and sub-menus. None of this happens with the M140i, making more of the media system more usable for the driver. Another very effective feature is how the car can locate the nearest petrol stations and show how much fuel costs there. We’ve used this in the UK, Germany and France and it was effective in all of these, though not possible in Switzerland. This means you can plan where you want to fill up and make sure you’re not paying through the nose easily and quickly. Sadly the traffic rerouting function could be slicker. Yes, the car notices when the traffic changes, finding the quickest route and asking whether you want the new route, with figures on how much time it’ll save you. 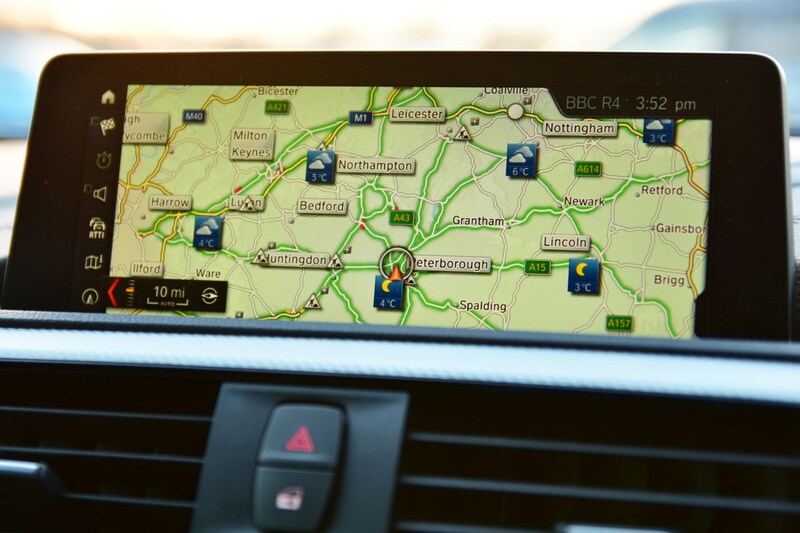 This works very well, however, sometimes you can see heavy traffic highlighted on the sat-nav screen for some time before it reroutes – meaning that often we chose another route before the car suggested it. Occasionally it feels as if you have to hit the traffic before the car gives you an alternative. A little frustrating. 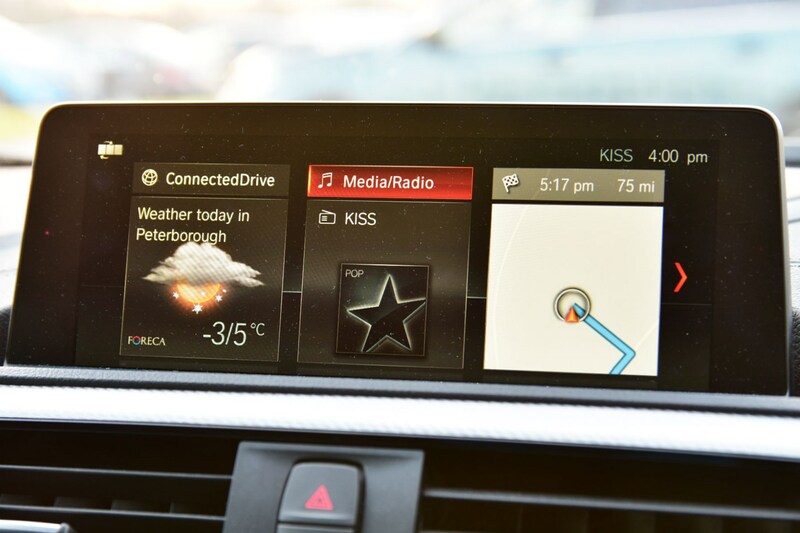 This version of the BMW 1 Series may have been around since 2011 – an age in car terms – but the media system, controls and in-car tech are well integrated, making them easy to use on the move. Changing the cabin temperature is simple enough, with rotary controls for driver and front passenger. Meanwhile, it’s similarly easy for the driver to change the volume of the speakers and select radio stations through the steering wheel. 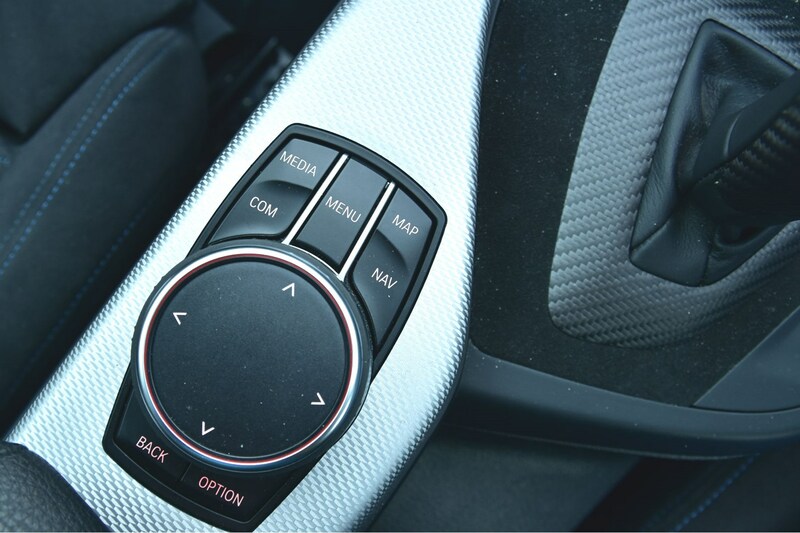 A vast majority of the car’s functions are controlled via a rotary controller located alongside the handbrake. This large dial is easy to reach and find while driving, with a bank of buttons around it to select the relevant function. As there aren’t too many buttons scattered around this, you quickly get used to choosing the one you want. Similarly, changing drive mode is simple, with a distinctively shaped rocker button to choose between economy-focused Eco Pro mode, Normal, Sport and Sport+. 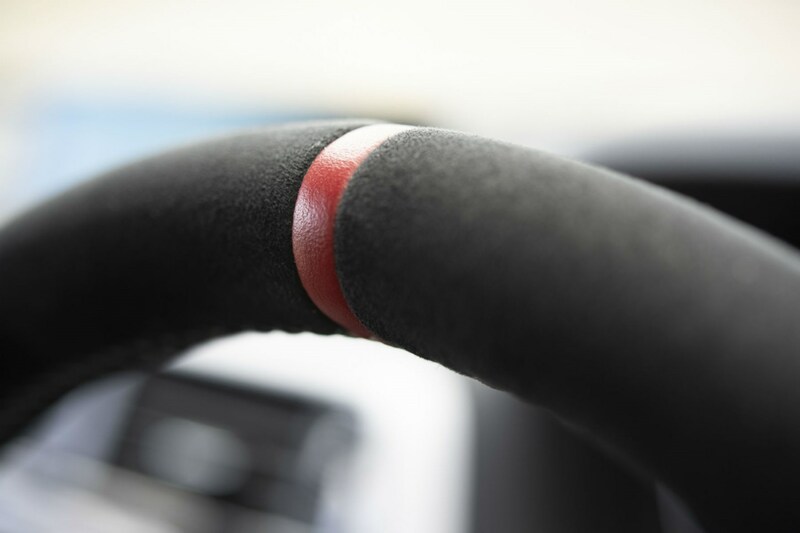 As this button has a dip in the middle it’s easy to find by feel, without having to take your hands off the wheel. BMW is remembered for its marketing slogan ‘Ultimate Driving Machines’, and while its cars have steadily been crammed with more and more tech, which in other cars often detract from the driving experience, most of the M140i’s in-car tech is well integrated. This allows you to change settings easily, but still focus on driving. That’s no small feat compared with how many levels of menus you have to negotiate in many rivals. Yes, the Audi S3 has a similarly effective system that revolves around a rotary controller, but the posher sat-nav option in the VW Golf R forces you to prod the screen to change settings, as does the SEAT Leon Cupra. The Golf does come with digital dials that offer more functionality than the half-digital ones of the M140i, but overall the BMW is the more user friendly, we’d wager. Meanwhile, the Mercedes A-Class has very slick voice control functions, including allowing you to set the sat-nav destination simply by saying, ‘Hey Mercedes, navigate to [postcode]’. However, consider that for the PCP finance monthly payments of the 340hp M140i you’d only get a 163hp A 200 Mercedes and it feels like a small benefit. 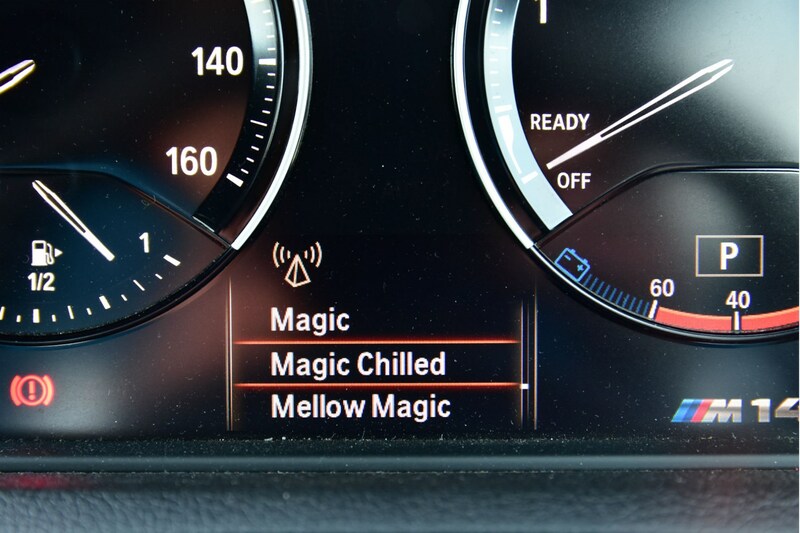 The BMW does have voice controls, too, though there nowhere near as effective as the Merc’s. As alluded to in our last update, we’ve been very impressed by the M140i’s fuel economy, hitting well over 40mpg on parts of our road trip and averaging more than 35mpg – despite lots of high-speed autobahns reaching up to 150mph, steep Alpine roads. Tune back in to see how practical we found the car, our overall real-world fuel economy and as we put the M140i head to head against other new hot hatches and several modern classics that you could buy for the same price. Next time you can watch our video review of the M140i to find out whether it’s the hot hatch for you. With its oversized 3.0-litre, six-cylinder engine, sound is a big part of the M140i's appeal - especially with the M Performance exhaust fitted to our car. So we thought it was long overdue that we showcased our car's sonic skillset on video. With just 30 Championship Edition models available - and precisely zero of these available from BMW as we write - we've compared our car with an ordinary M140i, to highlight the key differences and help you decide whether you want to hunt down one of these rare limited edition models. Have a watch of the video to hear exactly why you might want to get an M140i - from us and from the engine and exhaust themselves - before a new model arrives with a smaller four-cylinder engine and, we imagine, none of the M140i's rich, dramatic noise. We also test out the Professional Navigation system fitted to our car and try out the back seats. Watch for yourself by clicking on the video below.